Soak in the beauty of the Ten Mile Ocean Drive. 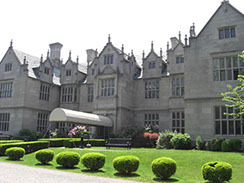 View 17th century buildings and marvelous mansions along Bellevue Avenue. 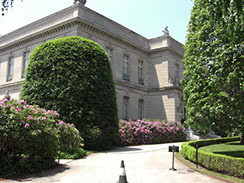 Capture the lovely landscaped garden at Chateau-sur-Mer and if weather permits, take a brief walk at Fort Adams. 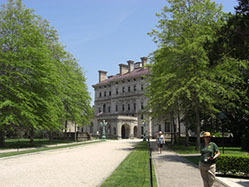 We'll also catch a glimpse of Newport’s Famous Trees such as Beech Trees, Copper Beech, Weeping Beech and Turkey Oak trees, and hear legendary stories like how Mr. Gordon Bennet, New York Herald publisher, and Augustus Candy made an interesting wager that got them kicked out of The Reading Room!